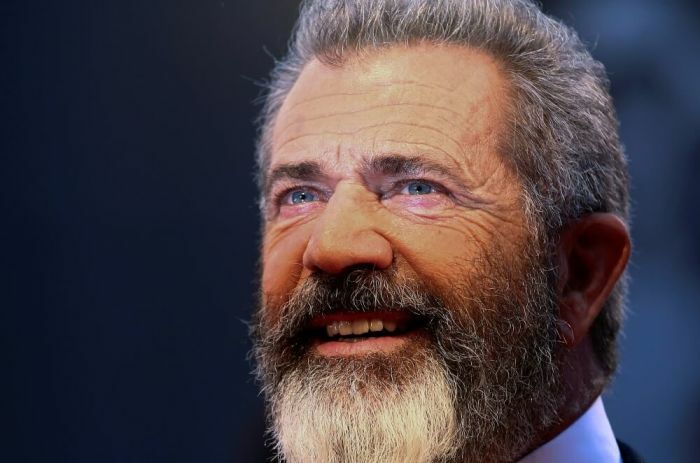 Hollywood movie star and director Mel Gibson says that he hates the act of war but has an appreciation for the sacrifices made by "warriors." The 60-year-old Gibson recently made a trip to the Venice Film Festival to promote his upcoming film "Hacksaw Ridge," which will hit theaters on Nov. 4 and is based on a true story about the heroics of U.S. Army soldier Desmond Doss, a Seventh Day Adventist conscientious objector who refused to carry a weapon during World War II. As Doss was ridiculed by his fellow soldiers for not carrying a weapon but was ultimately the one who ended up saving the lives of as many as 75 of his comrades during the Battle of Okinawa in 1945, Gibson was asked during an interview with France 24's Louise Dupont whether or not "Hacksaw Ridge" was made to be an "anti-war movie." "It is an anti-war movie. I think all war movies are anti-war movies, but we do have to be compassionate to our warriors," Gibson said. "When I was a kid, I moved to Australia, I would have been drafted in Vietnam at 18, but by that time the war had ended, I was like 17 and the war was over so I never got drafted." As Gibson has starred in a number of action films and has depicted various types of different warriors — most notably being his reenactment of Scottish freedom fighter William Wallace in the 1995 hit movie "Braveheart" and his role in the 2002 movie "We Were Soldiers" — he told Dupont that although he hates war, he loves the warrior. "My father was not a big believer in that conflict, but — and here's the truth of it — I hate war, but I love the warrior," Gibson said. "And those guys that went to war, I appreciate and honor their sacrifice, because many of them lost much, even when they come home they suffer. So they need some attention." "Hacksaw Ridge" marks the end of Gibson's years-long absence from directing, with the last film he directed being the 2006 film "Apocalypto." Before that, Gibson directed the popular yet controversial reenactment film "Passion of the Christ." On Aug. 28, Gibson made a surprise appearance at SoCal Harvest hosted by evangelist Greg Laurie and the Harvest Christian Fellowship in Anaheim, California. Gibson sat down with Laurie to discuss rumors that he was working on a sequel to "Passion of the Christ" with screenwriter Randall Wallace, called "The Resurrection." "We're talking about that. Of course, that is a huge undertaking," Gibson told Laurie. "And you know, it's not the 'Passion 2.' It's called 'The Resurrection.' Of course, that's a very big subject and it needs to be looked at because we don't want to just do a simple rendering of it — you know, read what happened." "But in order to read it, experience and explore probably deeper meanings of what it's about, it's going to take some doing and Randall Wallace is up to the task," Gibson continued. "He is also, as well as a brilliant writer, he is a great director. He directed 'We Were Soldiers' and 'Heaven is for Real' and stuff. So, he is a good writer and director."